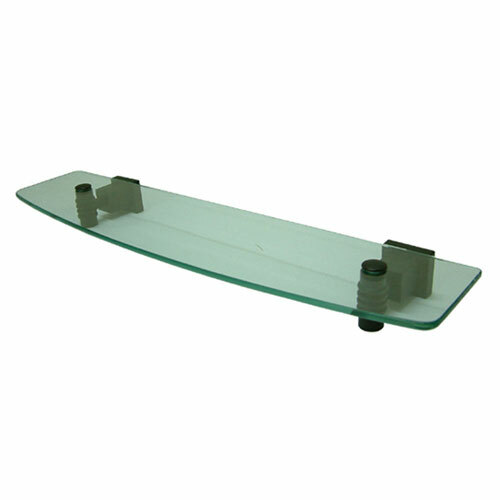 Kingston Tempered Bathroom Oil Rubbed Bronze Glass Shelf BAH4649ORB: This Decorative Tempered Bathroom Glass Shelf is built to last. The highest quality standards are used to precision manufacturer a top of the line product. Important features of this BRAND NEW Fixture: Complete Item! Everything necessary for installation is included. Matching Accessories Available - Easy to Install - Installation instructions included - Tempered Glass Shelf - Resists chipping and breaking - Glass Shelf - Metal Brackets Fabricated From Solid Brass Material For Durability And Reliability - One Year Limited Warranty to the original consumer to be free from defects in material and finish. - Oil Rubbed Bronze premier finish designed to resist fading and tarnishing. This fixture is manufactured by Kingston Brass and is part of their Fortress collection.